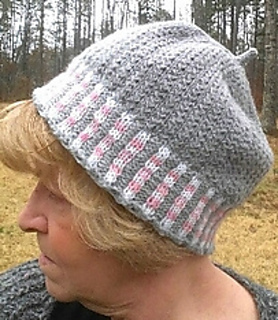 Hat: Adult and Teen 21”- 23” head circumference (To adjust sizing, simply go up or down needle sizes.) 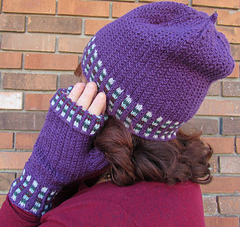 Mitts: Teen and woman’s medium. For a larger size, simply move up needle size. 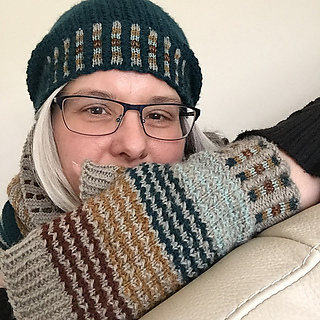 Slightly Stranded Winter Wheat was the ColorworksbyDebi Ravelry group MKAL for March 2018. Some knitted only the hat or only the mitts, and some completed the set. Several submitted project names, and we chose a combination of Ravelry’s doubles17 and RayeG suggestions to come up with Slightly Stranded Winter Wheat. Slightly stranded derives from the fact that only the ribbing portion of the hat and mitts contains colorwork--corrugated ribbing, making it a perfect project choice for the first-time strander. Winter Wheat is a natural part of the name because the stitch design resembles stalks of ripe wheat. (See photos above.) As you will see from the included project pics, there were many interpretations and different uses of color in this project. 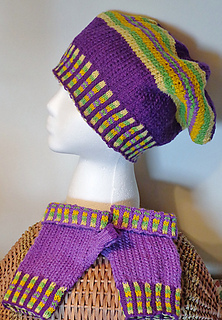 The pattern is versatile, allowing the knitter to make her hat as slouchy (or not) as she desires. As always, it was fun to see all the different ideas blossom. Thank you to all participants for making this MKAL so much fun! 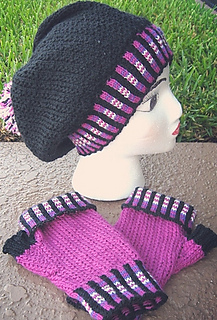 This pattern is the 500th Pattern I have published on Ravelry. Whew!! !